Please Support Autism.ie & The Irish Society of Autism. The Childline Emergency Appeal can count on the support of the Zog Chorus with the release today of the charity single ‘We all Stand Together’. The idea for the childline single came from Bosco. The Save Childline 24 appeal hopes to raise over €1m to help keep the 24 hour service open. Childline is 95% funded by public donations and unless sufficient funds are raised, the service will have to close for 5 hours a night in January. With Ryan and Bosco leading the way, some more famous friends also lent their support and Zig and Zag, Dustin the Turkey and Pajo all came on board. The kids of Starcamp completed the line up. The RTÉ Concert Orchestra, conducted by Gearóid Grant in RTÉ’s Studio 1, kindly donated their time and talents to the track. 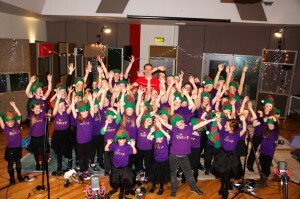 Windmill Lane Recording Studios also provided their facilities for free for the final recording. 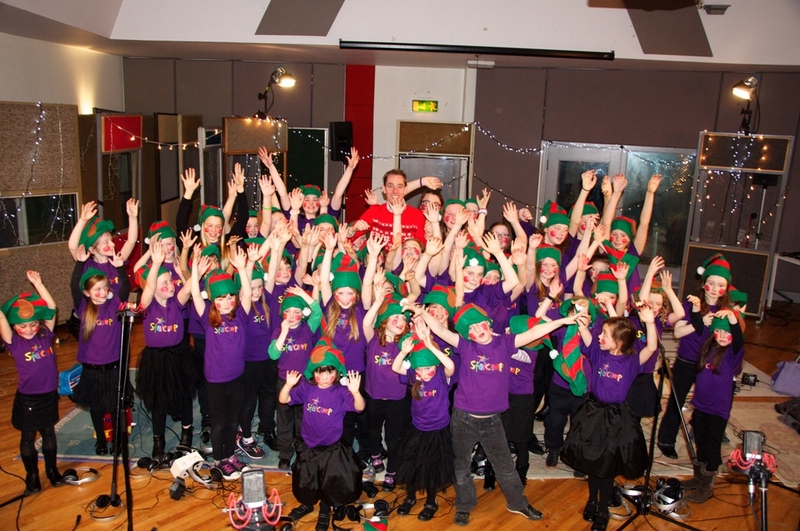 Commenting on the childline single Caroline O’Sullivan, ISPCC Interim CEO said ‘All of us here at Childline send a big thank you to the Zog Chorus and everybody who gave generously of their time to make this single happen. We all Stand Together is a great theme for Save Childline 24 and we hope everyone will buy the single’. ‘We All Stand Together’ by The Zog Chorus, in aid of Childline, is now available from iTunes priced 99c. All proceeds from the single will go towards the ISPCC’s Childline, specifically the Save Childline 24 campaign. STARCAMP 2013 SUMMER CAMP CHILDREN TO RELEASE SINGLE FOR CHILDLINE’S 25TH ANNIVERSARY! We are delighted to announce that Solitaire : A Song for Childline was released on Friday 1st November! It can be purchased from ITunes(Link Below) & also is available in Tescos & Golden Discs. Please support!! Spread the link to the Single everyway possible, Facebook, Twitter, Email and lets help this great Charity! Watch Aideen Discuss the single on Midday TV3! This year CHILDLINE has reached the milestone of 25 years answering children’s calls. Given the nature of Starcamp, and the fact that our core ethos is building children’s self-esteem, it seems a natural and perfect next step to help this wonderful organisation in a way that we can. One very lucky child was selected from each of our nationwide Summer camps to sing on “A Song For Childline” with some of the leaders! Each child’s name was simply pulled from a hat at the Friday Finale Show. “A SONG FOR CHILDLINE” was an opportunity for a lifetime for the children that get to sing on it, it will create awareness amongst our younger generation that some children don’t have it easy and hopefully it will raise much needed funds for the organisation as today “1 in 3” calls still remain unanswered. We will be relying on your support to spread the word and help to make a difference – Childline is a truly wonderful cause and YOU CAN help make a difference, so please download or buy the single when it is released or simply spread the word! 100% of the proceeds of the sale of the single will go to CHILDLINE. Thank You to everyone who attended the recording on Oct 6th In Corks School of Music! The atmosphere in the Curtis Auditorium was electric and a great day was had by all. We will keep you posted when the final production of the single is complete and available to purchase!